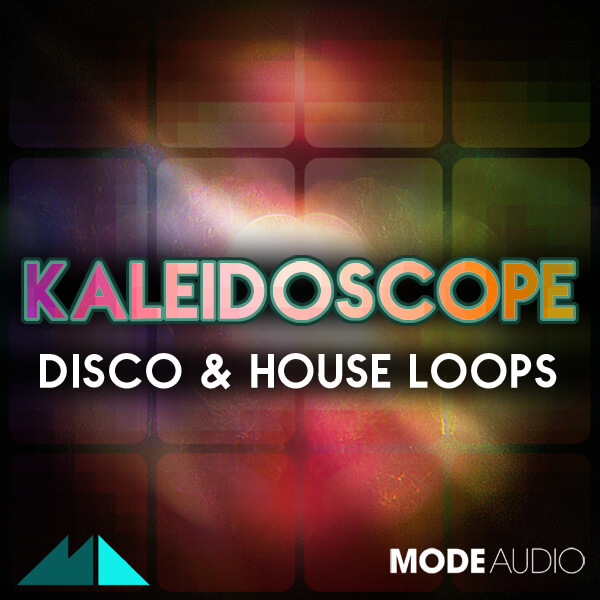 “Kaleidoscope: Disco & House Loops” brings the heat of the disco straight to your speakers. With 120 of the silkiest, funkiest Disco loops in town, this release from ModeAudio is sure to have you grooving till the sun comes up. Just drop the loops in and watch the party kick off! The heart and soul of Disco shines through in every note of this collection. There are irresistible Bass lines and jazzy, sultry Keys, all with alternative takes included. We’ve also crammed in rock-steady Drum Loops and Fills, alongside intricate Percussion parts and thumping Drum Machine layers so that you can flip the switch and watch the dance floor go wild. In addition, “Kaleidoscope” also includes the parts in 120 MIDI loop files so that you can twist, tweak and transpose the arrangements however you wish. This pack will get the creative juices flowing in a rush of good-time grooves and far-out funk. So whether you’re making House, Garage, Hip Hop or EDM, or taking it back to Disco, Funk and Electro, we’re sure you’re going to love “Kaleidoscope: Disco & House Loops”!